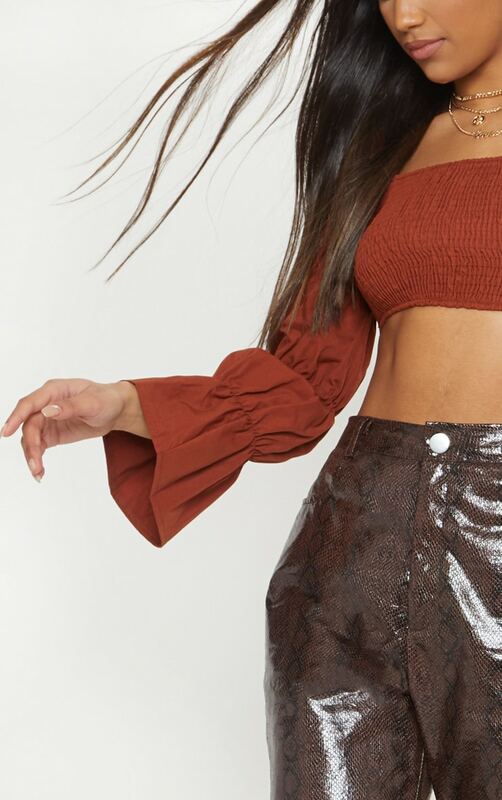 Give your wardrobe a fiercely feminine feel with this crop top. 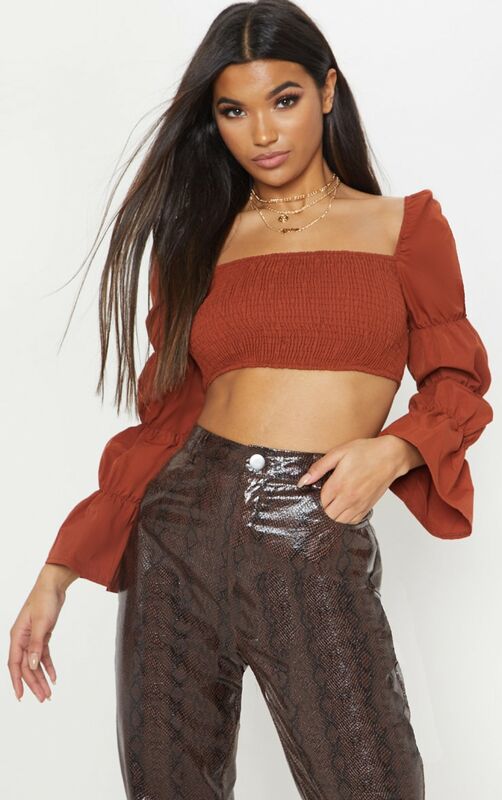 Featuring a brown material with ruched long sleeves and a cropped length. 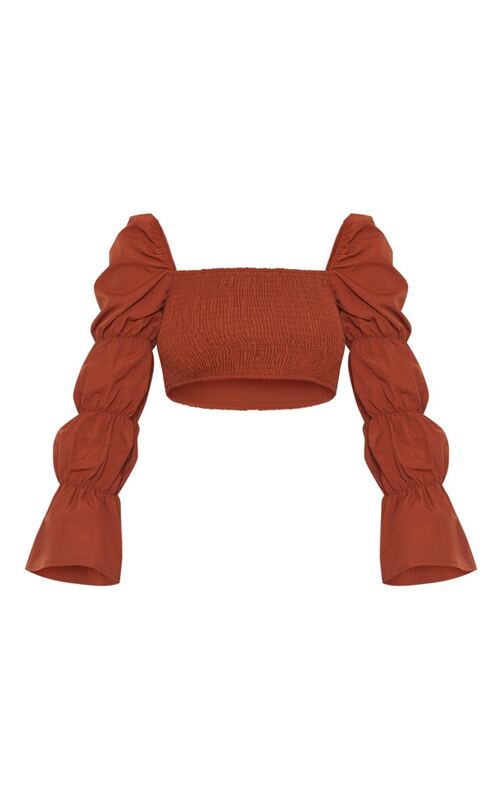 Team this with faux leather pants and strappy heels for a look we are loving.